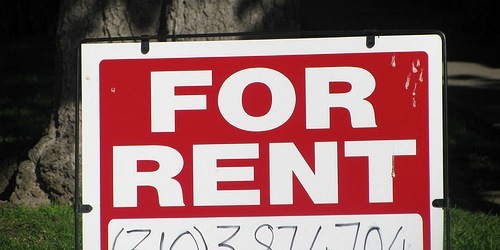 What Credit Score Do You Need a Rent an Apartment? Like all things credit, nothing is written in stone here, but obviously the higher the credit score the better (what is a good credit score?). Apartment shoppers should realize that not all landlords pull credit, but not bank on it. And even if they do, they don’t necessarily have a certain threshold or particular three-digit number that they abide by. Each landlord will have their own risk appetite and rules when it comes to credit scoring. In other words, you won’t necessarily be barred from renting an apartment if your Fico score is below 620. This differs from banks that issue mortgages, which typically have rigid credit scoring tiers in place that are pretty much black and white. You either meet the credit scoring requirement or you don’t, with few exceptions. All that said, there isn’t a specific credit score you should aim for, but as a rule of thumb, shoot for the stars. With regard to renting, you’re probably going to find more leniency with landlords if you seek out duplexes or guest houses, along with smaller complexes. Landlords at larger complexes will probably pull your credit for sure and chances are they’ll be more meticulous (and experienced with reading credit reports). So what if the landlord pulls your credit and finds that it’s less than satisfactory? In that case, you may need to obtain a co-signer, such as a parent or family member with better credit assuming you fail to meet your obligations. If that’s not possible, the landlord may ask for a larger down payment (security deposit) as a means to mitigate the higher risk, though this clearly isn’t ideal for the renter. However, these days you may find that landlords are a bit more lax because they’re just happy to rent their units out in the face of a tough economy. If you have no idea where you stand credit wise, you may want to order a free credit report before you start looking for an apartment to see if there’s anything negative on your report. There’s also a good chance you can use that credit report in place of the one the landlord would order (assuming you opt to get the score as well), saving you a little bit of money on that application fee. This could be especially helpful if you’re shopping around at different apartments and don’t want your credit pulled numerous times (and it could prove to be a good negotiating tool if you’re going up against another candidate). After all, it saves them the time and aggravation of ordering a credit report themselves. If your credit score does happen to be low, you can still make an argument as to why you’re a solid candidate for the apartment, so don’t be discouraged. Generally, landlords will be most interested in any rent-specific issues on your credit report. Or perhaps a past mortgage delinquency if you’ve now been resigned to renting. So if you’ve got great credit, other than an isolated late payment on a store credit card or something similar, they may look the other way, even if your credit score is depressed as a result. From their perspective, you’re a good borrower overall, and you’ve always stayed up-to-date with housing payments, so you won’t be looked at as a huge liability. Conversely, if there are signs of rental distress on your credit report, including disputes with former landlords, you may denied on the spot. They won’t want to deal with someone who couldn’t get along with a former landlord, as such tenants tend to repeat their past behavior. Tip: How to remove negative items from your credit report. Not all landlords actually run your credit so just find one that doesn’t if your credit isn’t good.